Dr. Karl Steinberg MD, CMD, HMDC is a long-term care geriatrician and board-certified family physician with a subspecialty certification in hospice and palliative medicine, and certifications as skilled nursing facility and hospice medical director. Dr. Steinberg got his undergraduate degree in biochemistry and molecular biology from Harvard in 1980, then taught high school in New York City for three years. He attended medical school at The Ohio State University, graduating in 1987, then completed his family medicine residency at UCSD (San Diego) in 1990. Dr. Steinberg has served on the board of directors for AMDA—The Society for Post-Acute and Long-Term Care Medicine, and is chair of their Public Policy Committee, also serving as the Editor-in-Chief of AMDA’s monthly periodical, Caring for the Ages, which has a print circulation of 28,000 in addition to its online version (www.caringfortheages.com). He has assisted with numerous AMDA Clinical Practice Guidelines, White Papers, House of Delegates resolutions, and other behind-the-scenes work. He is Secretary and Past President of CALTCM, which is the California Association of Long-Term Care Medicine, the state chapter of AMDA, and is on the board of directors for the San Diego County Medical Society, where he also serves on the Bioethics Commission. 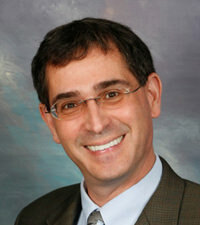 Dr. Steinberg is immediate past chair of the Coalition for Compassionate Care of California (www.coalitionccc.org). He serves as affiliate faculty for California State University San Marcos’ Institute for Palliative Care and adjunct faculty for Case Western Reserve University’s graduate school of biomedical engineering in the department of wireless health. Dr. Steinberg serves on the National Quality Forum’s Standing Committee on Palliative and End-of-Life Care. He serves on the Executive Committee of the National POLST Paradigm and is passionate about advance care planning and informed decision-making for America’s elder and seriously ill population. He enjoys speaking to groups of healthcare professionals and the public, and serves as a consultant and expert to multiple nursing home and hospice agencies, law firms and insurance companies. Dr. Steinberg has been a hospice and nursing home medical director since 1995 and is probably best known for taking his dogs on rounds in nursing homes, assisted living facilities, and on hospice and palliative care home visits with him on most days.